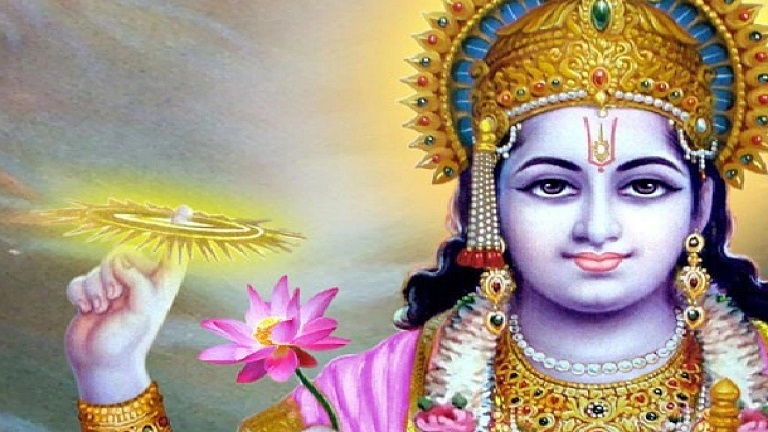 Subsequently, AzhwAr says “Though you are difficult to attain for dhEvas, for your devotees, you fulfilled their desires by engaging in great efforts – thinking about this, I eagerly desired to see you”. appanE – Oh one who has the nature to bestow favours (to devotees starting with making them exist)! adal AzhiyAnE – Oh one who is having the divine chakra which is of the nature of destroying their [devotees’] enemies! thuppanE – Oh very majestic lord! kaNdidak kUdum kol – is it possible to see? Oh one who has the nature to bestow favours! Oh one who is having the divine chakra which is of the nature of destroying their [devotees’] enemies! Oh very majestic lord who churned the deep ocean and fulfilled their [devotees’ – here dhEvas’] desires! I am always thinking “Is it possible to see your four shoulders?”, with tearful eyes and my prANa drying up more and more; I, who is desirous, am looking forward with great eagerness, am seeing in the direction thinking “you should come right now”. appanE – Oh lord who has done such great favour to me that I call out to you only even if you don’t turn towards me! adal … – adal – midukku – majestic. Always being alert and ready to fight to destroy the enemies. Oh lord who carries the disc which can eliminate my hurdles! Azh kadal … – Oh lord who has the ability to churn the great ocean which is described as in SrI rAmAyaNam yudhdha kANdam 14.31 “apramEyO mahOdhadhi” (immeasurably deep ocean) and helped even those who do not desire for you and just desire for other worldly aspects! un … – AzhwAr is unlike those dhEvas who accept the salt water [amrutham – nectar]. Instead, he is desiring to see the shoulders which churned that ocean. emperumAn is explained in nAchchiyAr thirumozhi 9.1 as “madhurak kozhunjARu koNda sundharath thOLaniRE” (emperumAn with beautiful shoulders who accepted the divine nectar). AzhwAr is saying “Shall I see your four shoulders?”. eppozhudhum – Like a low-level land which is ready to accept flowing waters always, AzhwAr‘s eyes are always with tears. Avi – my prANa (life). thuvarndhu thuvarndhu – drying up totally; neither dying after drying up nor living due to having faith that our desire to see emperumAn with great qualities will be fulfilled; some times AzhwAr sustains and other times he becomes totally agonised – this keeps repeating. ippozhudhE thandhidAy enRu – emperumAn should only consider AzhwAr‘s agony as the proof and should arrive without even wasting a fraction of a moment. nOkkuvanE – I will be looking at the direction from where you can arrive. Is he doing like this since emperumAn is having some intention to arrive? EzhaiyEn – No. I am only having the desire. [emperumAnAr orders kUraththAzhwAn to compile varadharAja sthavam in praise of dhEVap perumAL and pray for regaining his eyesight. AzhwAn compiles the prabandham too] When emperumAnAr listens to one of the SlOkams, he tells AzhwAn “emperumAn will surely bestow his mercy on hearing this SlOkam; you just show your face [eyes] to him [and get it cured]” [AzhwAn eventually prays to emperumAn to have the vision to see perumAL and emperumAnAr only]. This entry was posted in thiruvAimozhi, thiruvAimozhi 4th centum on March 18, 2017 by Sarathy Thothathri.